Use the form below to contact accommodation Rolling Surf directly. Promotional Offer: Bookings made during the low and high seasons will be at a discounted rate. 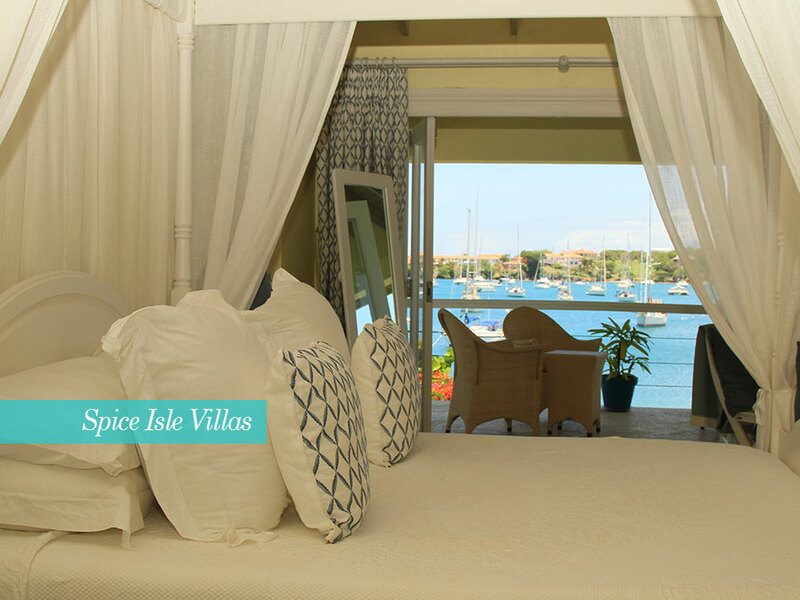 Bringing you closer to the water’s edge than you ever imagined in a luxury Caribbean villa. 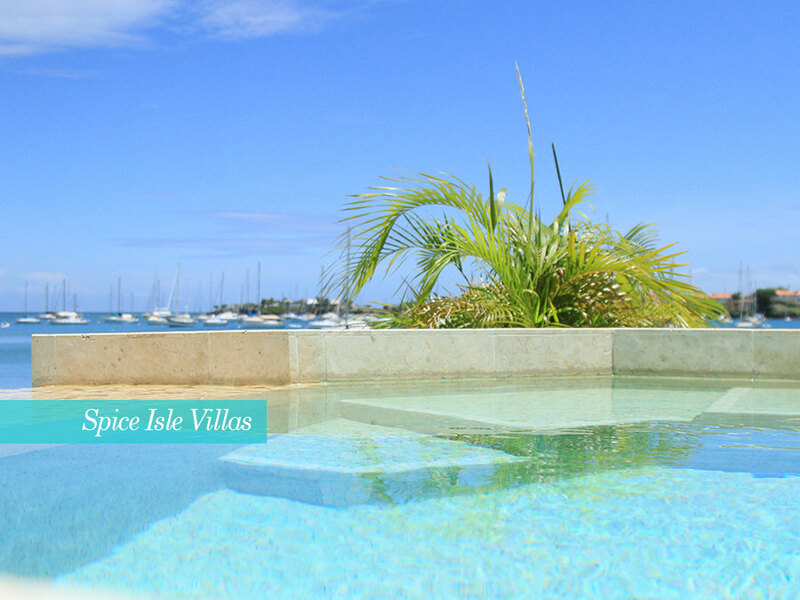 A sophisticated and luxurious vacation villa in the most sublime waterfront and beachside setting imaginable. 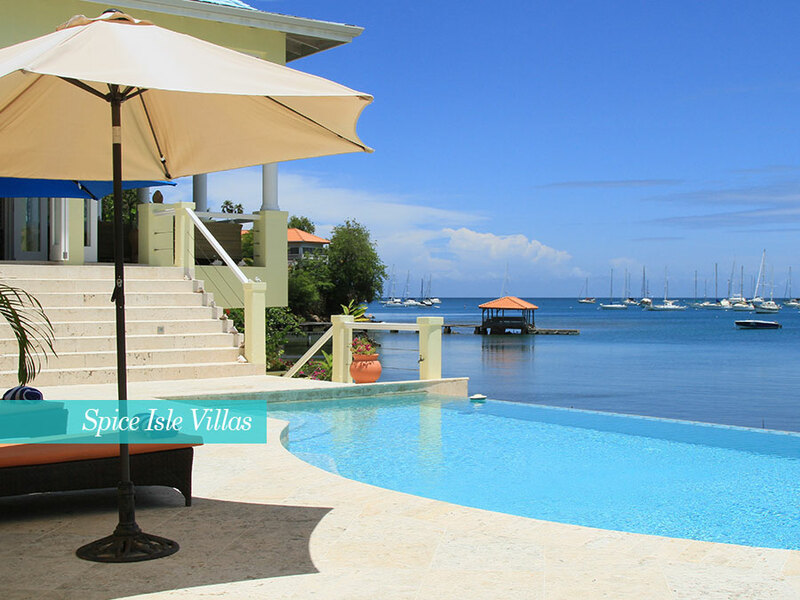 Exceptional accommodation for up to 8 people in a beachside location in the most sought-after residential area in Grenada .Just as the name implies, the sight and sound of the Caribbean waves rhythmically and gently rolling onto the soft sand beach will soothe away the stresses and strains of everyday life. Stirring contrasts of both zest and peace into body, soul and spirits. 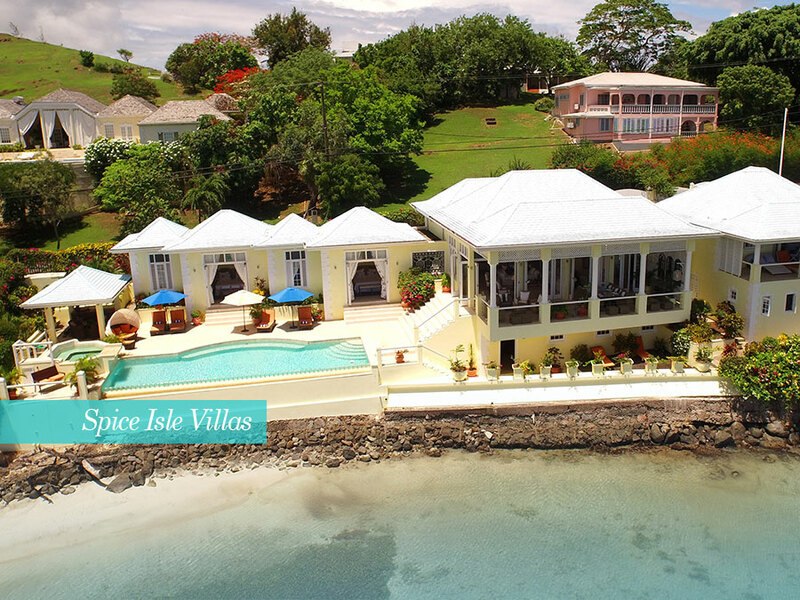 This superb new villa brings you closer to the water’s edge than you ever imagined possible. 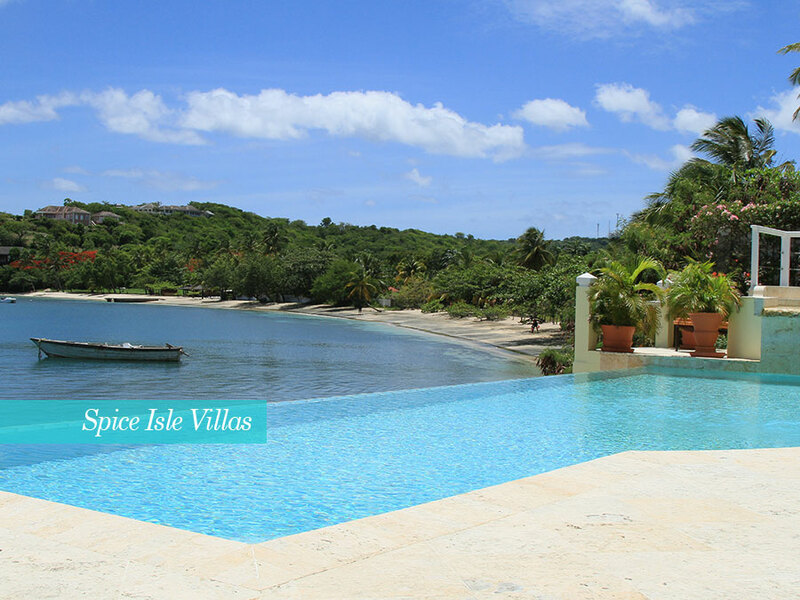 Bordering Prickly Bay, one of Grenada’s favourite anchorages, Rolling Surf can sleep up to 6 guests in three bedrooms, including a magnificent master suite and two further pool-side bedrooms. There is also a self-contained apartment, which can be available on special request. Rolling Surf offers sophisticated comfort in a convenient location. 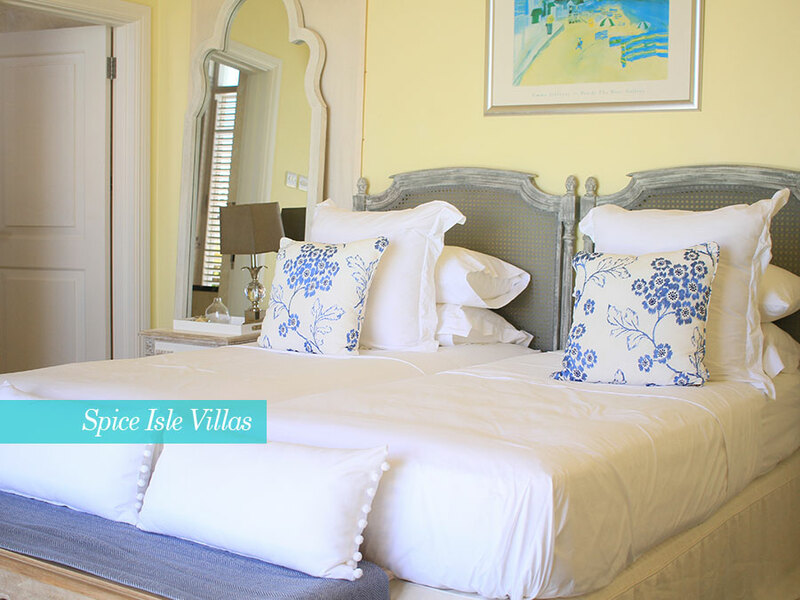 The villa has a large and spacious kitchen adjoining the living and dining room area, a breezy covered patio area and three air-conditioned bedrooms with en suite bathrooms. The king bedded master suite is enhanced by a large and lavish master bath with whirlpool bath for two, fully tiled walls, deluxe shower and dressing room. Sliding bi-fold doors lead out to the private covered veranda with uninterrupted views of the bay. The second and third bedrooms have direct access to the pool deck. The apartment, which is available on separate request, offers excellent privacy below the master suite and is only 15 feet way from the sea. Hardwood steps lead to the sea and beach access. There is also an exercise area with workout equipment and a TV room with 40″ LCD cable TV, international multi-region DVD player, and an office area with high-speed internet access. A small mini-mart is located close by at the Boatyard. 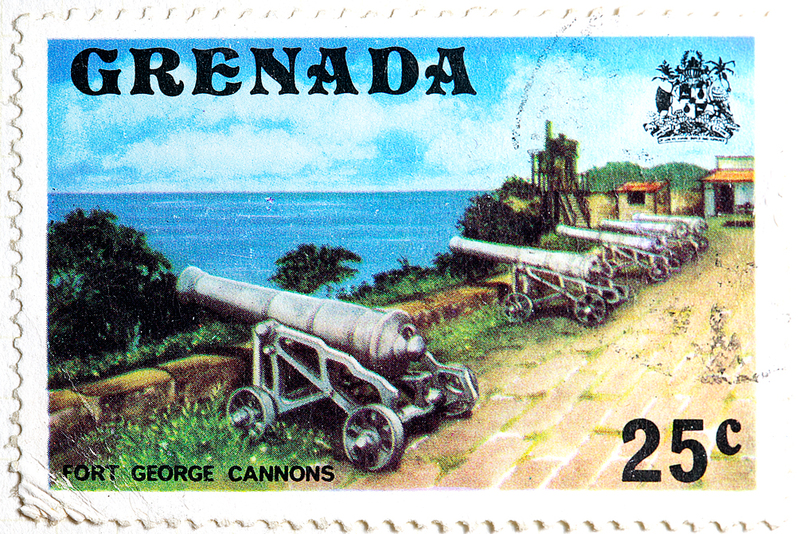 The picturesque capital town of St George’s and the principal shopping area of Grand Anse are just short drives away. 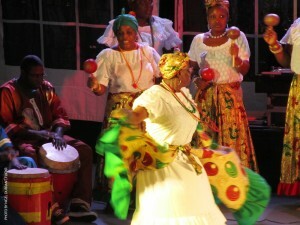 Rolling Surf’s housekeepers, is there to make your stay in Grenada a relaxing, carefree, memorable holiday. They will be at Rolling Surf from 8 am to 4 pm every day. You will be met at the airport and taken to Rolling Surf, where you will be shown around and familiarised with the villa and its facilities. A welcome basket with breakfast items is provided. 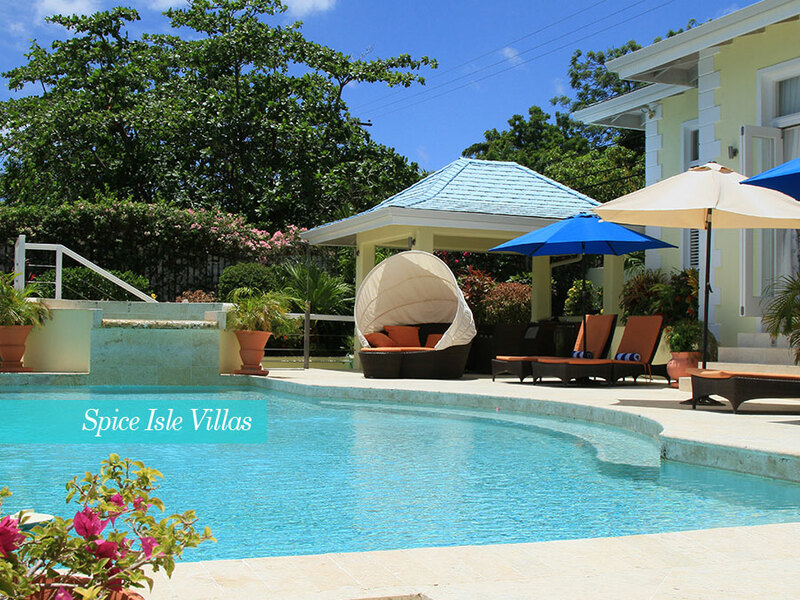 The villa is approximately a 10 minute drive from the airport with the beaches of Grand Anse, Morne Rouge and Magazine all close by. Bedrooms: 3 + apartment. 1 king 4-poster bed in master suite; 1 twin & 1 queen in poolside rooms. 1 queen in apartment. Air conditioned en suite bedrooms. The self-contained en suite apartment is at a lower level and provides a super king size bed that can also be separated to create twin beds. The apartment kitchen is equipped with a range cooker, fridge/freezer, dishwasher & washing machine. All four bedrooms are equipped with cable TV’s. Rolling Surf offers sophisticated comfort in a convenient location. 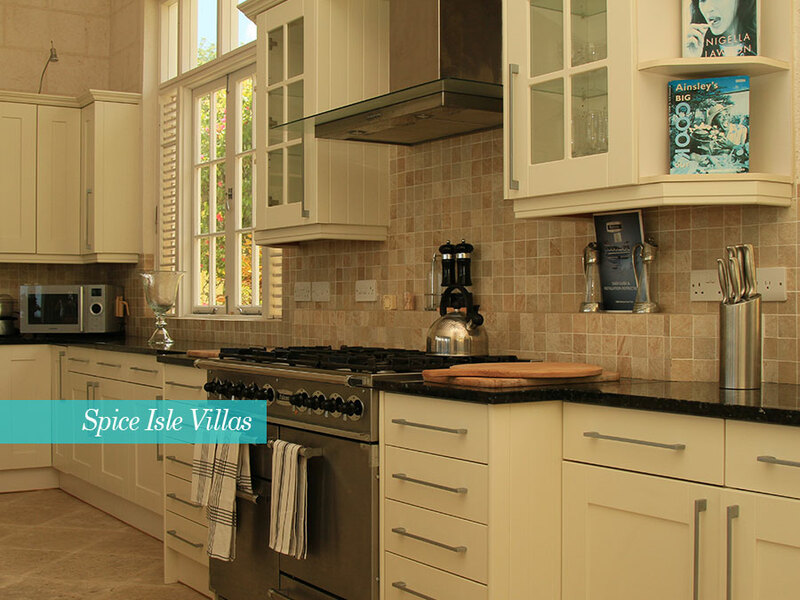 The villa has a very spacious kitchen with a large Falcon range cooker, built-in Miele Fridge/Freezers and Dishwasher. There is an abundance of quality cookware, crockery and glassware, together with non-breakable items for use around the pool. 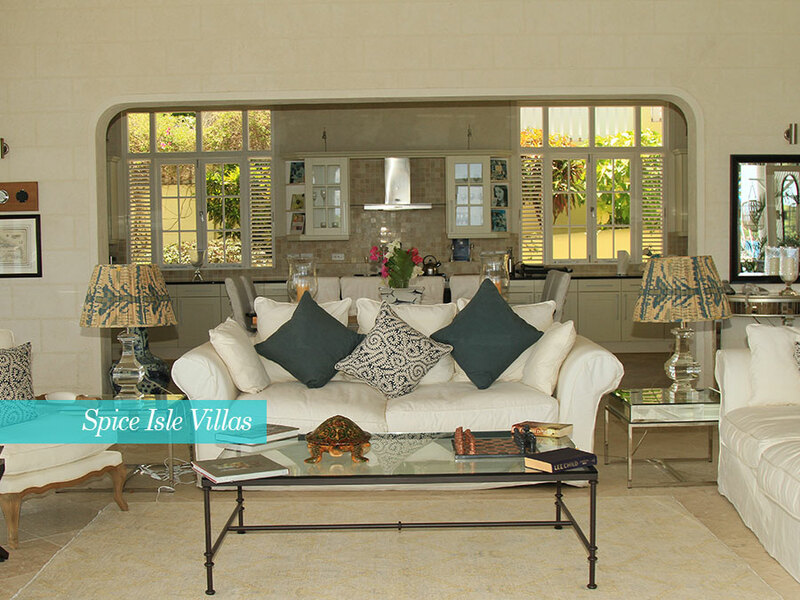 The lounge and dining areas are open plan with views to the beach and yachts at anchor further out in the bay. With effect from January 2016 the lower level will be equipped with a new media room and compact fitness area. 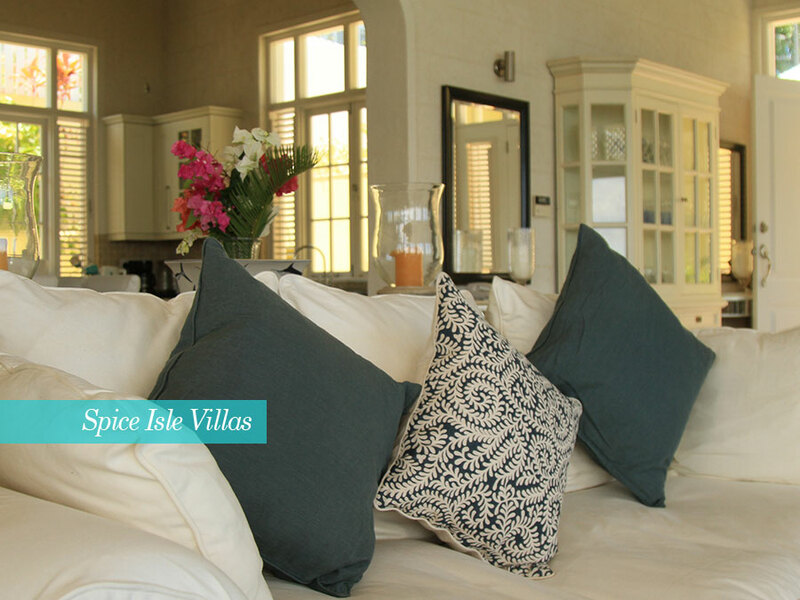 Our villa team will be on-hand to welcome you with a cold drink, cooling face towels and a starter pack of essential items. 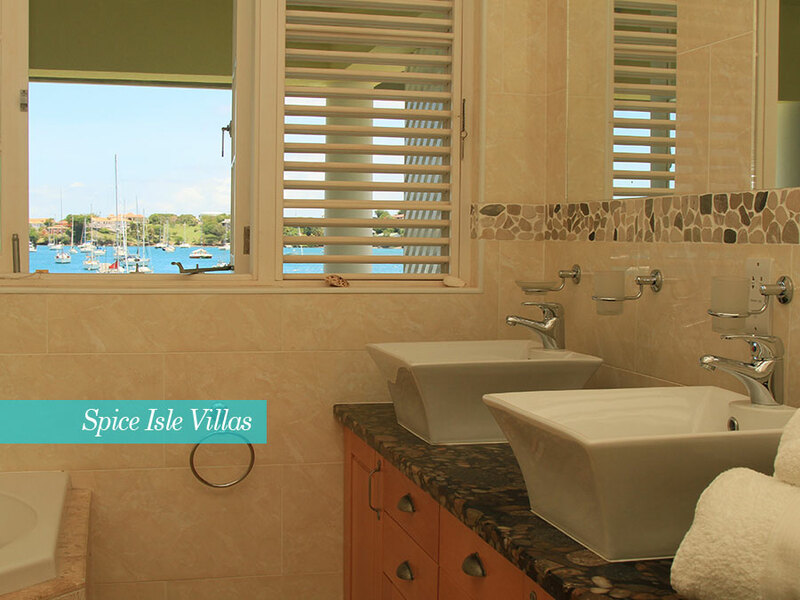 Having taken in the magnificent views, you may then wish to indulge in a relaxing shower and change into Caribbean mode. 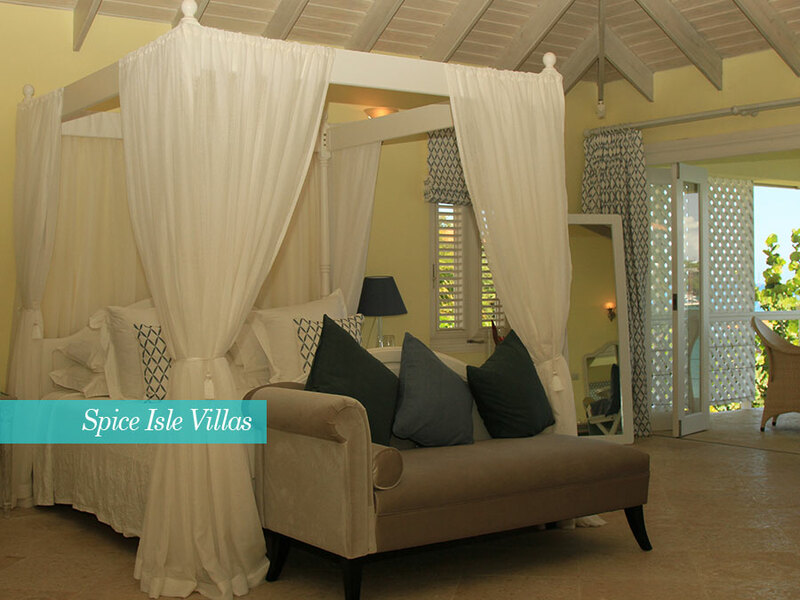 Once settled in, our team will provide you with a familiarisation tour of the villa. Do you wish to start your vacation with a special bottle of bubbly, or have the coolers stocked with your favourite wines? Our local wine merchant is North South Wines who are also located in L’Anse Aux Epines. Simply call in advance on (+1 473) 444-1182 or emailinfo@northsouthwines.com to advise of your requirements and they will deliver direct to the villa. your arrival. Receipts for all guest purchases will be retained to enable reimbursement once you are settled into your vacation home. Please note we require a minimum of 7 days advance notice for this facility. 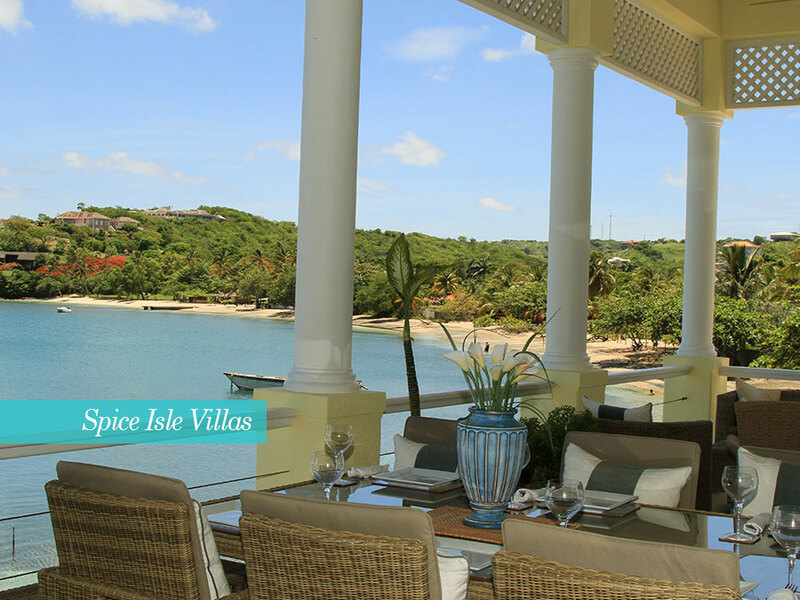 Flavoursome cuisine prepared for you in the privacy of your villa. 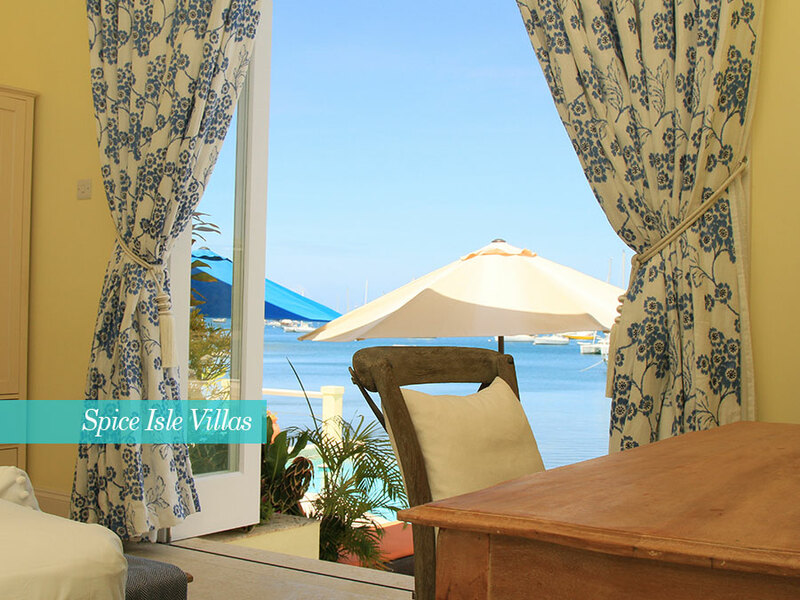 A list of local cooks/chefs that offer in-villa dining can be found in the guest’s manual held at Rolling Surf. If you require us to source the services of a cook/chef in advance for all or part of your stay, please let us know and we will provide details of all available options and costs. 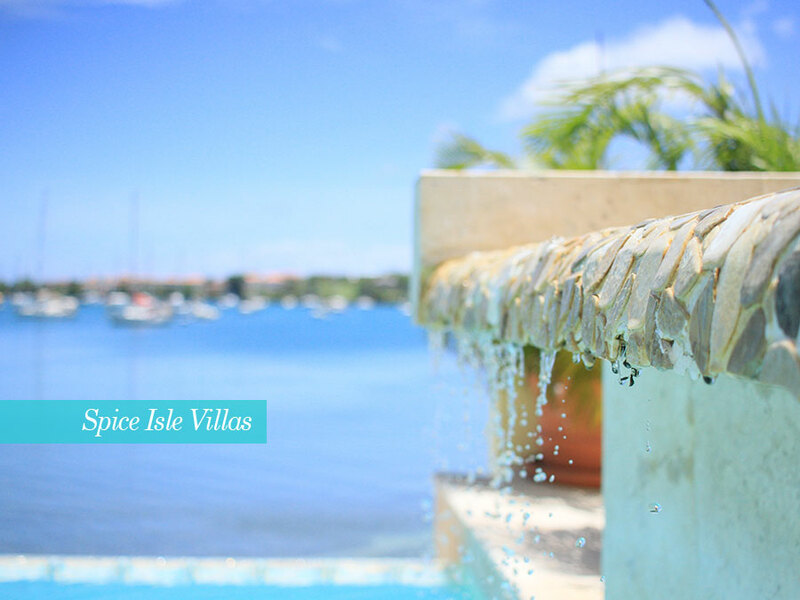 Whether you require International style cuisine, Caribbean themed menus, or food from our charcoal BBQ, all can be arranged whilst you relax at the water’s edge. The Caribbean is one of the most romantic locations to get married, the warmth and charm of Grenada with its breath-taking ocean and mountain views, sunny days and clear starry nights is the pinnacle. Rolling Surf is the perfect place for your Wedding Blessing or Vow renewal. VAT @ 10% will be charged on all bookings. Booking periods: 7 night minimum year round except at Christmas & New Year when minimum booking is 14 nights. Deposits: For low season bookings a 30% deposit within 7 days of reservation. For Christmas and high season bookings a 50% deposit within 7 days of reservation. Cancellation: For direct bookings the deposit for the package booked will be forfeited if the reservation is cancelled within 40 days prior to arrival. We recommend guests take out travel insurance to include possible loss of deposit. No refund will be issued if guests leave prior to their scheduled departure date. Security Deposit: Please note that your booking agreement will include a USD $1,500 refundable deposit in accordance with our damages & breakages policy. Damaged Items and breakages: We appreciate that the odd glass, cup, or plate can be accidently broken, hence we do not wish to involve our guests in mundane reimbursement for items of this nature. On that basis we will not make a charge against the security deposit for individual or multiple items up to a value of USD $100. Any damage or breakages that occur above $100 USD will be charged at the full replacement cost. For the avoidance of doubt, a replacement item purchased at USD $350 will be charged accordingly without the deduction of USD $100. For safety reasons we are unable to accept bookings for children under the age of 12 years. We regret we are unable to accept Pets at the villa. Access & Mobility: Rolling Surf is predominantly a single storey villa of multi-level design. 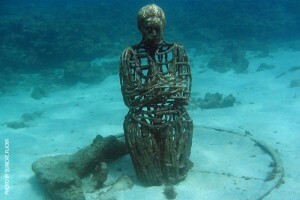 For guidance purposes we suggest that all guests should be of reasonable mobility to truly enjoy their vacation experience. 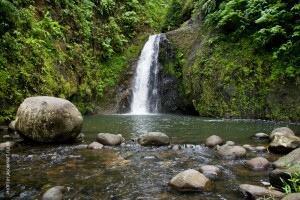 Snorkelling, swimming, walks, dining out, scuba diving, eco tourism, beach combing, hiking, hill walking.